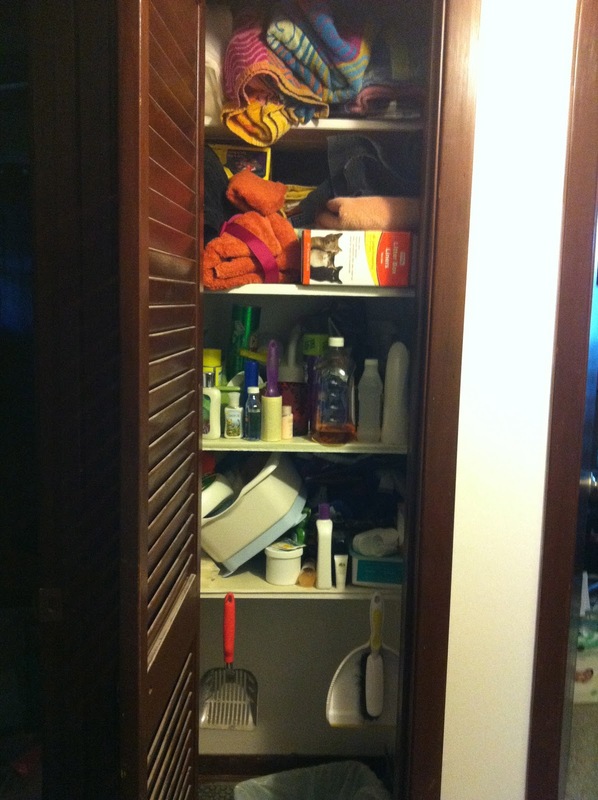 This is a picture of my hall closet yesterday. Frightening, isn't it? Exceedingly cluttered and disorganized. So...I decided to get some order in that sucka. I knew I wanted to use fun baskets or boxes of some kind. You see, I recently got sucked into the world of pinterest, which then led to Martha Stewart's website. 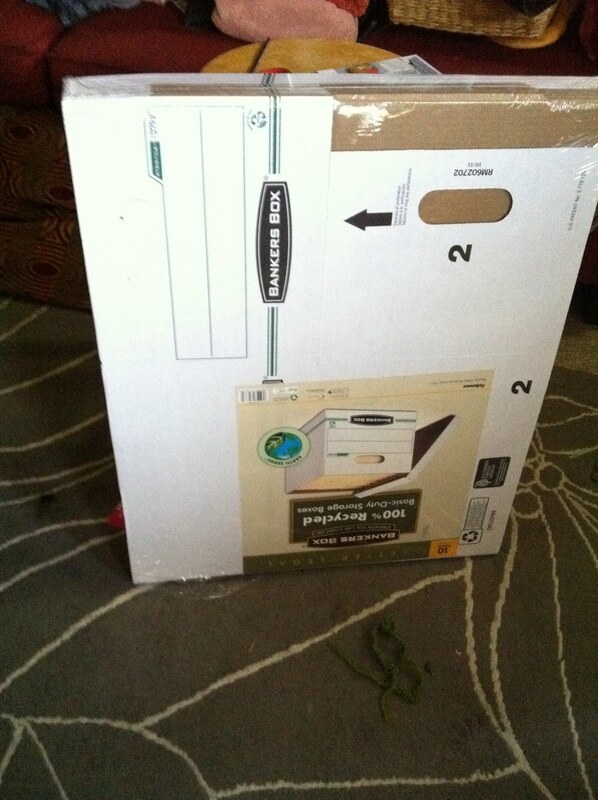 I do not necessarily like her personality...but I do love her homemaking skills. So clever. 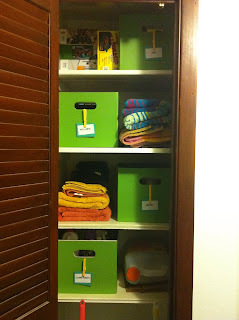 And most lovely and organized closets have boxes or baskets to help them out. 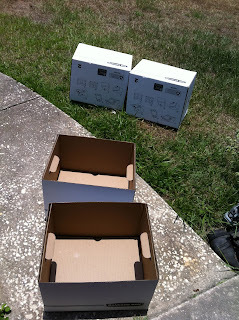 So the family went to Target yesterday to troubleshoot this storage idea. Can I just mention that I love Target. I could spend hours every day there. 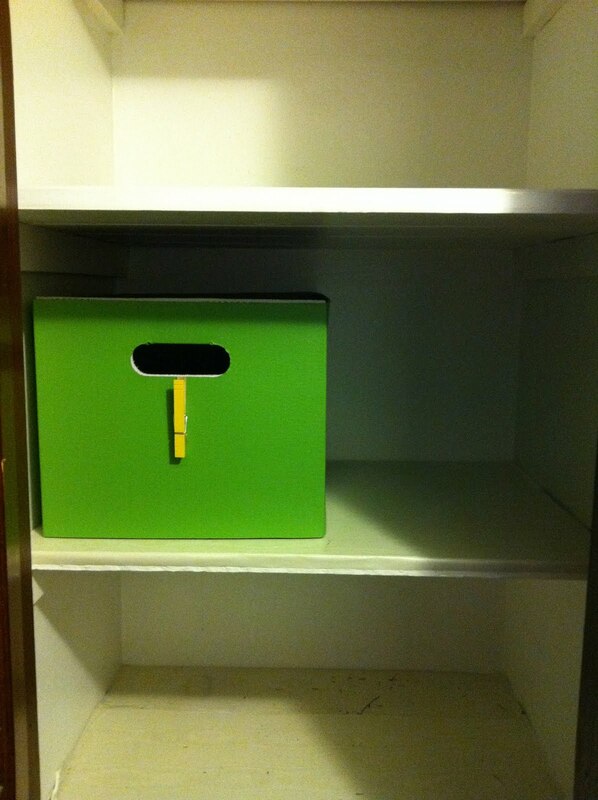 Anyways...cute storage items cost a ridiculous amount of money. 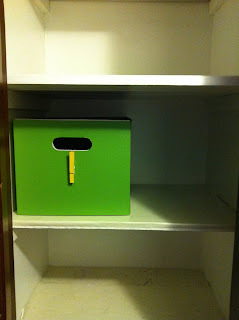 Literally my eyes might have bugged out of my head as I calculated the absurd cost of decluttering my tiny closet. So we improvised. These beauties were $15 for ten. Not a bad price, although they are quite ugly. 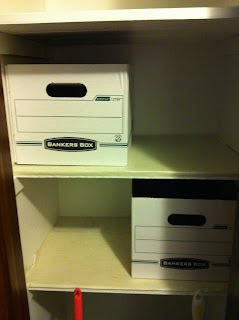 I originally wanted to do eight storage containers, but when I tried these out in the closet, I could only fit one per shelf. Note the cute clothes pin to hold the label. It makes it easy to switch out what goes in the box. Now, marvel at my fabulous makeover! Much nicer than the beginning, huh? So proud! Ummm....I kinda heart you for this!! For more reasons than one, but mainly because I literally just bought some bankers boxes yesterday for the very same purpose!! I love it!!! I was going to try to mod podge some paper on them, but painting sounds easier and yours turned out great!! Great minds think alike, girl! Love it! The green is PERFECT! So vibrant and cheery! 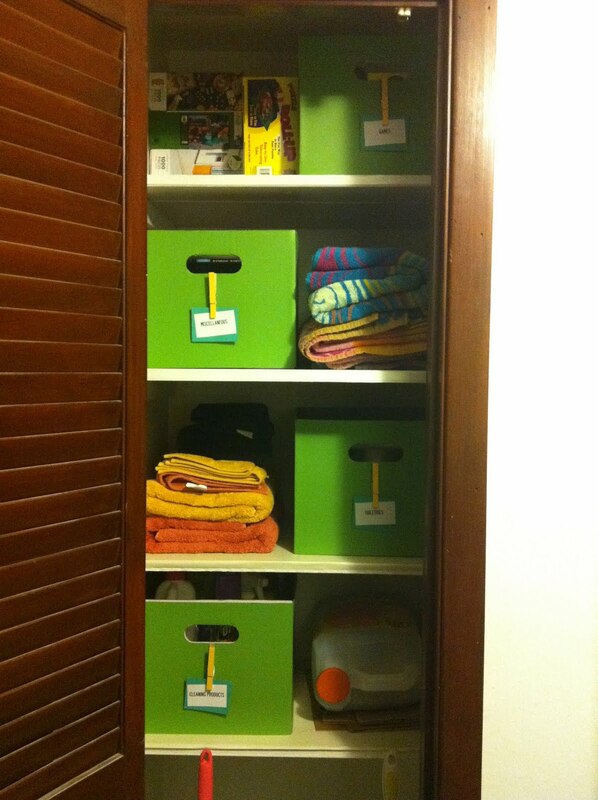 I love how super neat it is =) Great job!!!! I just found your blog tonight, I'm definitely going to poke around a bit! 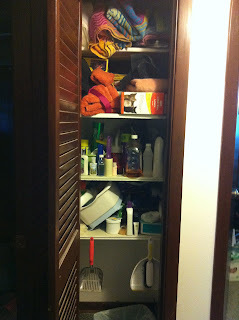 I was googling for hall closet makeovers, because I'm in the midst of one right now. I love your use of the cardboard boxes, and just painting them to make them pretty. SO economical & still cute!! Hopefully I'll have some shots of my closet on my blog soon...or at least "progress" shots - still need to install some shelving!